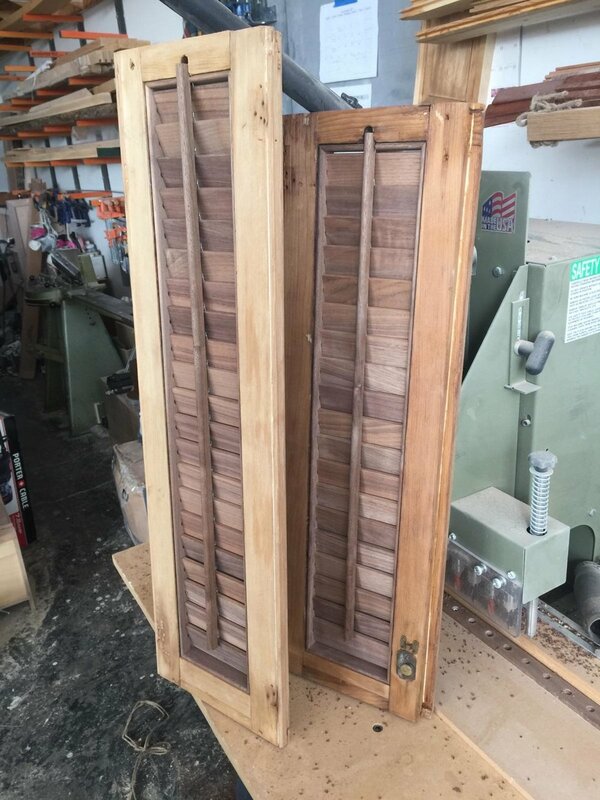 We got a request to replace the louver assemblies in a couple of old original shutter panels.. When we received the shutters, it was obvious that the first order of business would be to strengthen the shutter frames. These old shutters are all through tenon construction, and they are held together by little wood wedges.. No glue. 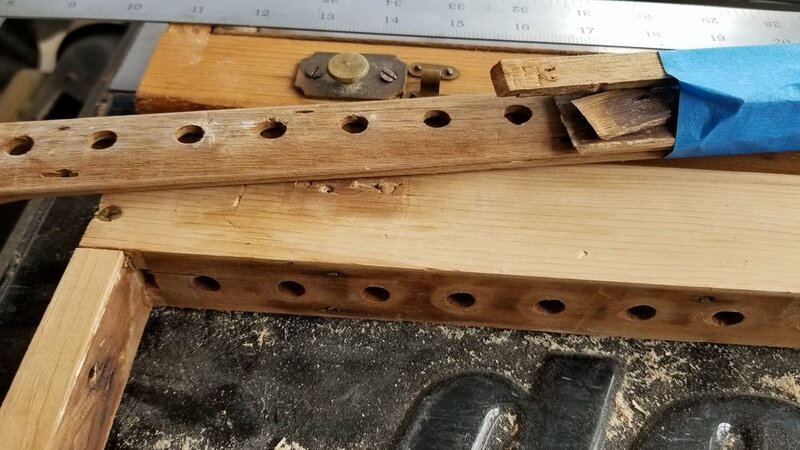 When someone cut the bottom off of these shutters so that they would fit in the crooked window, the wedges were cut out as well, which didn't leave anything to keep the frame together. Note that a couple of screws were driven in to what was left of the rail, but the frame was extremely flimsy. 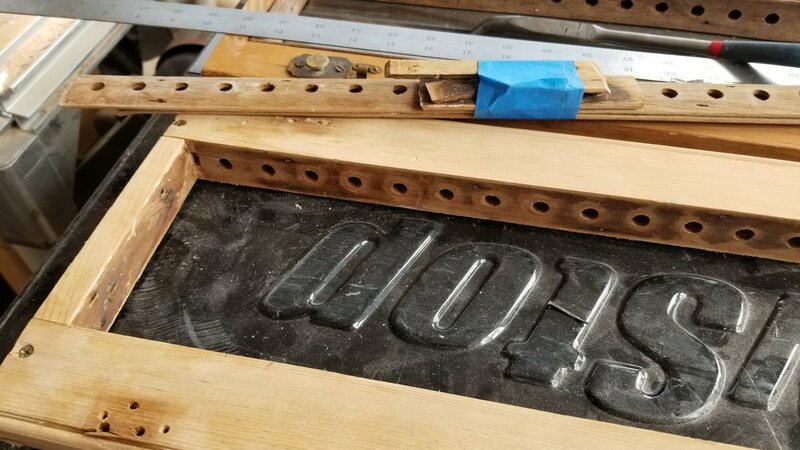 After gluing and clamping the original frame, we grafted a piece taken from another old shutter from the same period into the bottom of the frame, to increase the frame strength and restore some aesthetic balance. A little special sauce, and the new pieces blended in fairly well, Now for the easy work.. Replicating the louver assemblies! The original louvers looked to be (severely sun and rain damaged) black walnut. We just happened to have a little black walnut laying around, and used it to recreate the louver assemblies. It looks great unfinished, framed up by the old unfinished white pine. Now the challenge is to get the rest of the shutters looking as good as these two!